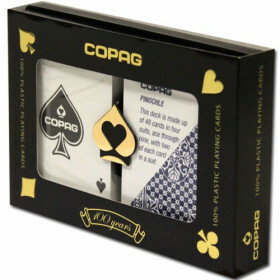 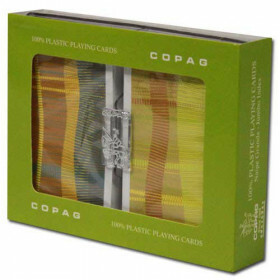 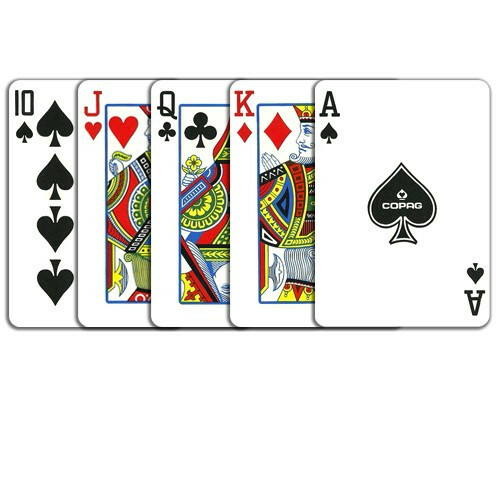 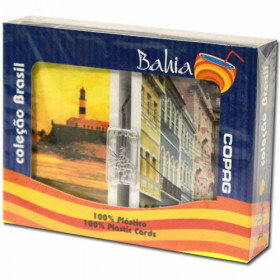 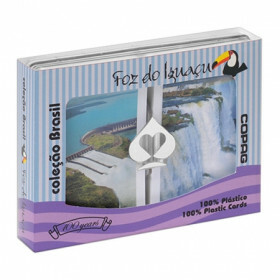 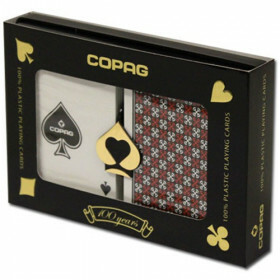 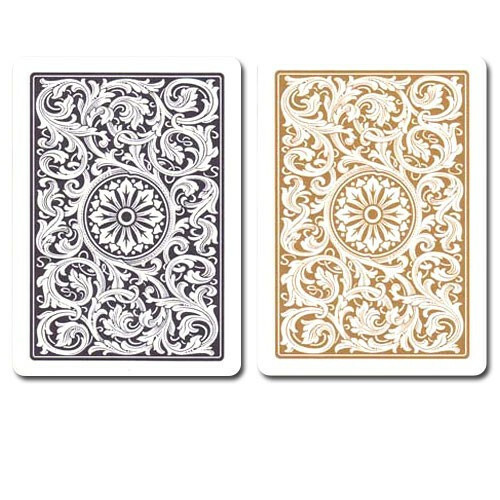 This is a professional quality set of plastic playing cards from COPAG. 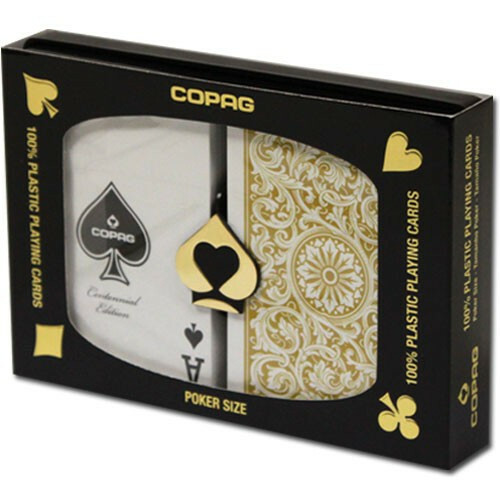 You get 2 decks of playing cards (1 black and 1 gold) in a protective plastic case. 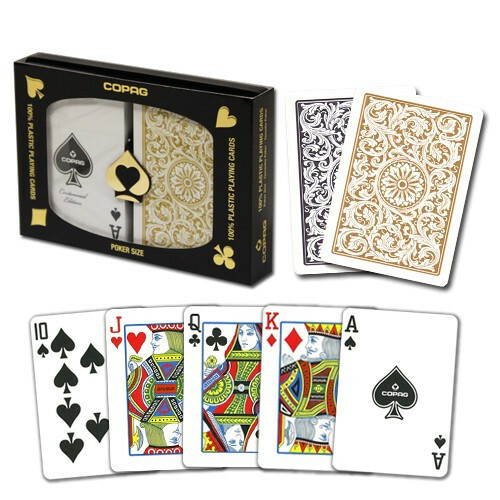 The cards are poker size (2.5" x 3.5") and have regular index (smaller numbers).